Koch started his career with the Texas Oil Company in Port Arthur, TX and later became chief engineer with the Medway Oil & Storage Company on the Isle of Grain in Kent, England. In 1925 he joined a fellow MIT classmate, P.C. Keith, at Keith-Winkler Engineering in Wichita, Kansas and following the departure of Keith in 1925, the firm became Winkler-Koch Engineering Company. 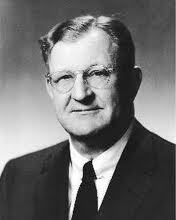 In 1927, Koch developed a more efficient thermal cracking process for turning crude oil into gasoline. This process led to bigger yields and helped smaller, independent oil companies compete. The larger oil companies instantly sued and filed 44 different lawsuits against Koch. Koch won all but one of the lawsuits, which was overturned after it was revealed that the judge had been bribed. This extended litigation effectively put Winkler-Koch out of business in the U.S. for several years. Koch turned his focus to foreign markets, including the Soviet Union, where Winkler-Koch built 15 cracking units between 1929 and 1932. The company also built installations in countries throughout Europe, the Middle East and Asia. In the early 1930s, Winkler-Koch hosted Soviet technicians for training here in the U.S. It is said that some of those trainees never went back to the Soviet Union. Having succeeded in securing the family fortune, Koch joined new partners in 1940 to create the Wood River Oil and Refining Company, which is today known as Koch Industries. In 1946 the firm acquired the Rock Island refinery and crude oil gathering system near Duncan, Oklahoma that was later renamed the Rock Island Oil and Refining Company, In 1966 Fred Koch turned over the day to day management of the company to Charles Koch he died a year later. 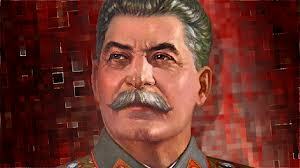 “In the months I traveled with him he gave me a liberal education in Communist techniques and methods. He told me how the Communists were going to infiltrate the U.S.A. in the schools, universities, armed forces and to use his words, “Make you rotten to the core.” I believe that due to his American experience he was one of the original architects of the Communist plan of subversion of the U.S.A. According to his son, Charles, “Many of the Soviet engineers he worked with were longtime Bolsheviks who had helped bring on the revolution.” It deeply bothered Fred Koch that so many of those so committed to the Communist cause were later purged. I am sure that action had something to do with his hatred of the Soviet Union. After his return to the U.S. Koch spent time building the family fortune and in the 1950’s he was one of the co-founders of the John Birch Society. 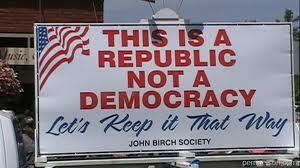 The John Birch Society claims to be anti-Communist, but racsism seems to have not been an issue. In 1932, Koch married Mary Clementine Robinson in Kansas City, Missouri. Mary was from a very prominent family. Her father was a prominent physician who helped to found the University of Kansas, School of Medicine. They had four sons, Frederick, Charles and twins, David and William. We all know that story but not many of us know the down and dirty details. Yasha Levine did the legwork for us and that history is in the link below. Fred Koch basically made a pile of money working for the Bolsheviks in the 20’s and 30’s building refineries, training Communists and laying down the foundation of the Soviet oil infrastructure. The real reason why Koch went to the Soviet Union is that as a result of the lawsuit mentioned earlier, he was essentially out of business in America, no one bought from him anymore. So you can see why when the Soviet Union knocked, Fred Koch opened the door. The Soviet Union was trying to increase their oil refining capacity and oil engineers were high in demand. The Winkler and Koch company signed a $5 million contract to build 15 refineries in the Soviet Union. By the time Fred left the Soviet Union, he had earned $500,000 which was a tidy sum for the times. It’s not clear what he was actually doing there. But whatever the outcome—maybe he didn’t get the contract he was expecting or maybe he got swindled out of some investment or maybe he plain ol’ hated the thaw of post-Stalin Russia—Fred Koch came back a pissed-off anti-Communist freak and joined up with the right-wing Bircher freak show. He bankrolled a John Birch Society chapter in Wichita and attempted to open a Bircher bookstore, which wasn’t too popular and had to close. He warned of a massive Communist conspiracy to take control of America, saying that the Reds were eroding American universities, churches, political parties, the media and every branch of government. “Maybe you don’t want to be controversial by getting mixed up in this anti-communist battle,” Koch said in a speech to a Women’s Republican Club in 1961. “But you won’t be very controversial lying in a ditch with a bullet in your brain.” Strong words for a strong Stalin Queen—must’ve rocked the stockings off the Bircher groupies. Fred Koch’s paranoia continued to spiral out of control until his death in 1967. I wonder if this paranoia would have increased had he had the chance to read DeMille’s The Charm School, that book made me suspicious of Russia. By the time he died, Charles G. Koch, had already taken over control of the family business. He appropriated his father’s Communist paranoia and made it the basis for the family’s free-market business philosophy. Only Charles is actively invested in Koch Industries. David is a philanthropic resident of New York City, William turned against the family and blew the whistle on their skimming operations and Frederick buys historic properties and refurbishes them. I am sure they all benefit from Koch Industries in some form or fashion. William reconciled with his brothers by 2005. Tomorrow I will cover Koch Industries. In this article, I ended up using quotes and information almost exclusively from the website, The Exiled. Yasha Levine wrote a series there called, “A Peoples History of Koch Industries: How Stalin Funded The Tea Party Movement.” Together with Mark Ames they set up a website which has a treasure trove of information on the Tea Party and the Koch family. Their work has been praised by Vanity Fair and MSNBC. I highly recommend their site in addition to other media in understanding this scourge on our country. That is an informative article. I did not know that much about them. Yashna Levine gives me a name to look for. You can find him at the first two links. Center for American Progress did a great job too. I always thought they were more Mussolini spaghetti than Stalin vodka. Sauced either way on power. Okay, now I know how many TAH’s there are. Looking forward to the next installment. Lookin’ good, Sherlock! Watson you should have been a poet. Fred Koch did admire Mussolini but the Nazi party was built on Musolini’s ideas. Sue, interesting preface to the posts to follow. I bet if you polled 50 rabid libertarians and/or teabaggers not one of them would blink about how Freddy made his initial seed money in the USSR. When it comes to money, the ends always seems to justify the means. You know that is right. But in their defense, they could not even quote certain amendments in our Constitution and we know for sure they cannot spell. Nazi, Socialist, Marxist, Fascist are all the same to them and they are not embarrassed about what they don’t know. The one thing they do know is money. And that is usually all they care about. Look at the amount of criminality in their parties, if that does not bother them, nothing will.